Almost six years ago on Oct 10, 2011, I started an online course, along with over 100,000 other students from around the world. 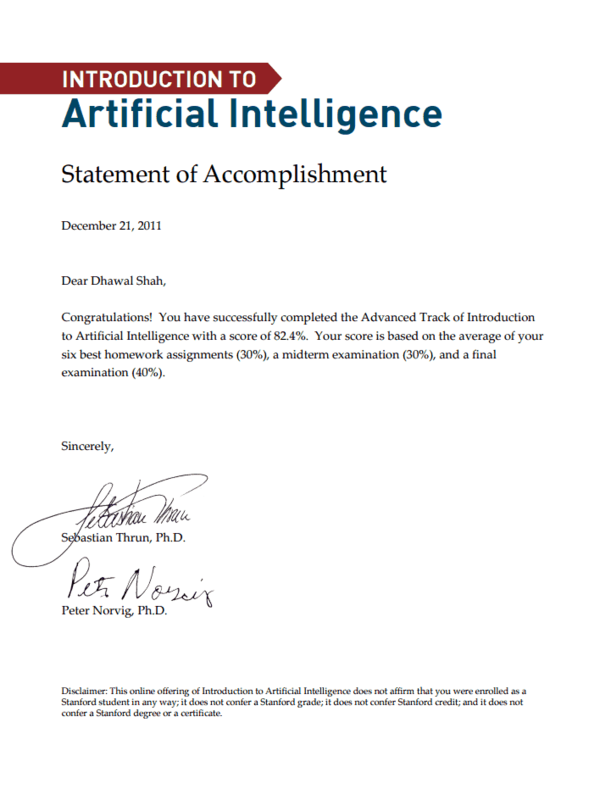 The course was Artificial Intelligence, taught by Sebastian Thrun and Peter Norvig. Eventually, 160,00 students signed up for the class. It was one of three courses that started on that day, all of them by Stanford professors, all completely free. This course didn’t have any community features, but soon a student-run forum popped up, and it became the semi-official forum for communication among students. Throughout the course, the forum buzzed with activity. New posts were being added every few minutes. If I had any question at all, it had already been asked and answered by someone else. This helped me stay engaged enough to complete the course and earn a certificate. In fact, I felt so energized by the experience that I was inspired to create Class Central, a place to keep track of the free university courses which people later started calling MOOCs. Nowadays, a lot of that initial excitement has fizzled. Very few MOOCs (if any) achieve this level of activity. The first MOOCs were essentially college courses adapted for online — they were approximately 10 weeks long and included weekly or bi-weekly assignment deadlines and a final exam. Like a college course, they followed a semester pattern and were offered once or twice a year, depending on the professor’s schedule. Scaling MOOCs required removing professors from the active role of running their courses. In the process, MOOCs have gradually been transformed from virtual classrooms to a Netflix-like experience. Most courses are now offered in a self-paced format or, in the case of Coursera courses, switched to an automated schedule, with new sessions starting on a bi-weekly or monthly basis. If a student can’t finish a session, all their work is simply transferred to a new session. Many learners have welcomed these changes as the content is available almost all the time. But this means that instead of tens of thousands of people learning together as part of a shared experience, everybody is learning at their own pace in significantly smaller cohorts. The always on-demand MOOC trend has led to a drastic reduction in forum activity within MOOC cohorts. At one point Coursera boasted about an average forum response time of 22 minutes; that’s no longer the case. The push for monetization hasn’t helped build community. Over time the free components of MOOCs have gradually been reduced, making these courses less appealing to many in their initial audience. The community aspect of MOOCs started out as a happy accident. The MOOC providers made some modest attempts to foster community, like setting up course forums and including Meetup links in their courses. But building communities requires more than just building technology. Those of us who took MOOCs in the early days know that something has been lost. Pat Bowden, a learner who plans to complete 100 MOOCs (she has completed 86 courses so far), has this to say, ““To me, there seems to be a growing trend for students to simply post their own thoughts on the topic without engaging with others’ comments.” That makes sense given that MOOCs have become a solo experience. Forum comments aren’t a multi-way conversation but rather are essentially breadcrumbs for the next crop of learners. If the providers want to make MOOCs massive again, they will need to go back to the characteristics that made them popular in the first place: semi-synchronous, instructor-led, and sufficiently hyped. Imagine that once or twice a year MOOC providers publish a limited catalog of courses that will be instructor-led (i.e instructors will play an active role in running of the course). These courses have a fixed schedule, have a start date and end date with some soft-deadlines through the course. The goal here would be to get everybody moving at a similar pace. In the early days, course videos were created as the course progressed, sometimes drawing on student feedback. As a course participant, this really made me feel part of something larger and helped me maintain my enthusiasm throughout the course. Al Fileris, a professor at Penn and instructor of Modern & Contemporary American Poetry (ModPo) offers a synchronous version of the class every fall. Dr. Fileris goes even further and re-shoots his videos. Dr. Fileris gave a fiery keynote speech at Learning With MOOCs conference in 2015 where he laid out his approach on how to make the MOOC feel like residential education and not feel like in-personal. One way ModPo achieves this is by being extremely responsive. 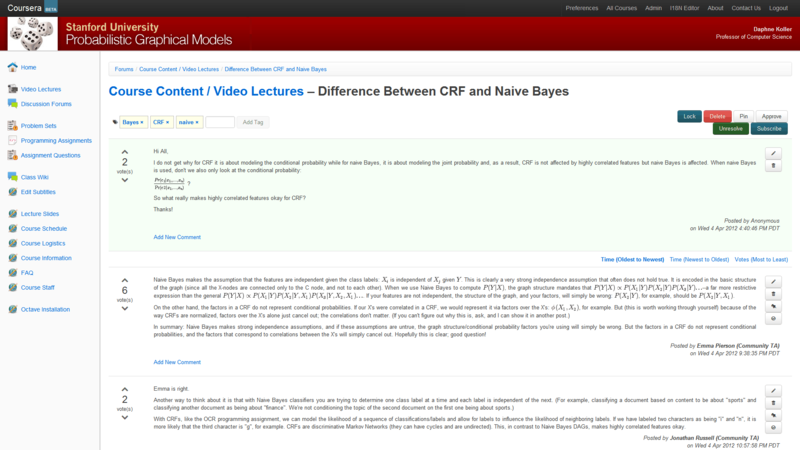 Every comment in the MOOC gets a response within a few hours, but usually within a few minutes. 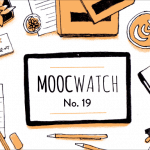 The results are there to see: ModPo is one of Class Central’s highest rated MOOCs of all time. Since it first launched in 2012, many students have finished ModPo multiple times. Even Dr. Fileris admits that the approach he proposes might require too much time and attention from MOOC instructors (though his approach scales within a MOOC). But he provides some practical advice – weekly live interactive webcasts, office hours, community TA’s which can be leveraged to engage the community. Having talked with multiple instructors over the last few years spread across multiple MOOC providers, I believe many would be willing to jump on this opportunity. Providers can make the MOOC semester an opt-in event. Finally, sufficient hype. I think that the way to get people excited about MOOCs again is to offer free certificates. 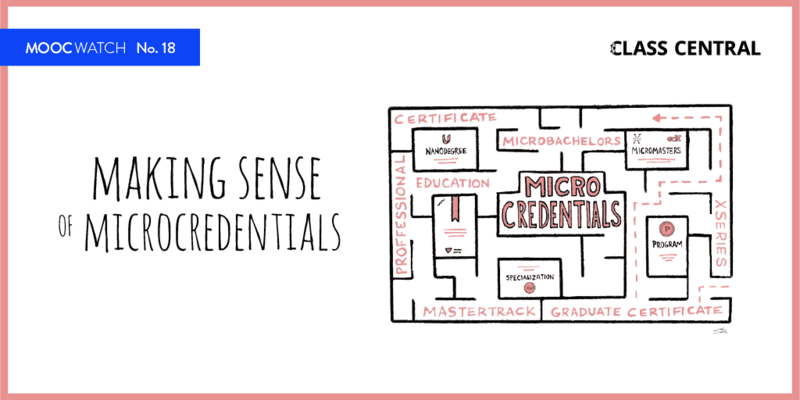 The courses that are part of the MOOC Semester will offer a free certificate to anyone who completes all the course requirements by a certain date. Those who don’t meet the deadline could pay an upgrade fee and earn the certificate. The MOOC providers abandoned free certificates because they were looking for a sustainable business model. Reintroducing them could reignite some of the enthusiasm MOOCs initially generated. The potential loss of revenue from free certificates would be offset by the marketing benefits of reaching more users. Early this year I published an article on Medium which listed 250 Ivy League MOOCs. That article went viral and received 2.5 million views, showing that there is still a tremendous appetite for online courses taught by universities. A MOOC Semester with free certificates can tap into this appetite. If multiple MOOC providers get together and coordinate their PR efforts, it will result in similar viral articles in different parts of the world. MOOC providers have seen this hype before and benefited from it. In Coursera co-founder Daphne Koller’s own words, “We reached 20 million learners with minimal marketing costs, largely because of the PR cycle around us.” A MOOC semester can recreate this PR cycle, bring in new learners, as well as engage old learners who might have fallen of the MOOC bandwagon. In her TED talk in 2012, Kohler explained why the Coursera courses were different than previous online courses – it was a real classroom with real homework assignments, real grades, and real deadlines. These days, most MOOCs don’t feel like a real classroom. The MOOC Semester can fix that. A version of this post first appeared on EdSurge. Sign up for EdSurge’s Weekly Higher Ed Newsletter for weekly news updates, interviews, and debates on edtech and the future of education. We lost the M and O in MOOCs over the past couple of years (I am wondering if the term is still relevant today). The Massiveness and Openness were the most innovative aspects in MOOCs and they gradually disappeared! Was it too early in history for these kinds of disruptions? The introduction of the MOOC semester might bring this back. “Caltech – Learning from data” from Yaser Abu-Mostafa is another example of a traditional MOOC style course, it runs every fall in parallel with the onsite-course, the instructor is on the discussion forum every day and answers most of the questions together with some excellent TA’s. Another example was the UPenn design course by Karl Ulrich a couple of years ago, where I was community teaching assistant a couple of times. Student projects were collected on pinterest boards and blogs, hundreds of them, making it a unique learning experience for every student. In contrast, I recently finished a sketching course by OpenSAP, but only 2 students posted their work on the discussion forum. My most deeply personal experiences are exactly with those massive courses. 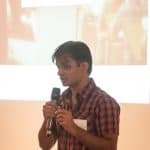 In the early years, it happened very frequently that I met interesting people on the discussion forum and got personal feedback from the instructor. It was so rewarding feeling the passion the professor and other students put into the course. We went from democratizing to monetizing MOOCs. It’s time to swing the pendulum back a bit. In the early years, it was probably difficult to survive without much paying students, but I hope in the meantime the major platforms are in a somewhat more comfortable position, and there is room again for real disruption and the creation of Massive Open Learning Communities. And it should not be an OR story, it can be AND, democratization can lead to monetization on the longer term. If you ask a ridiculously low fee, for example, 1$ for the course, times 100k students, you will still make money I guess. Despite all the changes over the past 6 years, I believe MOOCs are still in their infancy and there is still potential for huge growth and disruptive innovation. Let’s make MOOCs Massive again! I took many online classes when getting my last degree and was thrilled to take them alone with no one slowing me down, so I don’t want to replicate the in classroom experience. What I want to replicate was the experience I had with the first MOOCs that I took. The instructor was not involved at all in the discussion forums, though there was an assistant that kind of steered wayward threads back. However, the instructor was “there” in the class with updated material occasionally live Q and A sessions. Now I see those same courses are offered on that rotating basis on “autopilot”. No longer lively conversations between students all over the world. That is what I miss most: when someone asks “How is this done in Turkey?” someone from Turkey answers. I don’t need a free certificate and I don’t want a computer degree – that seems to be where the classes are headed. I must agree that one of the most rewarding aspects of taking a MOOC in the early days was the interaction with thousands of people all questioning and exchanging information amongst ourselves. The course itself was what stimulated thought but the interactions is what engendered the enthusiasm and the excitement of starting a new week. The always open course today is basically boring – I might as well go get a book and read it. If one isn’t registered (ie paying) then there is no point to completing assignments because there is no feed back. I have struggled to finish any of the courses I have signed up for recently. It is a a fantastic report . Thanks billion . I am a system engineer with several master degrees in engineering . After 40 years of business and industry executive, I have been working on Education Technology for the last 20 years . 15 years ago my first project was to provide every student with a laptop with $ 10 installment per month . Then in 2011 I supported the idea of MIT’s Opencourseware . Then came AI of Stanford then MOOCs . Now many resources are available . 1.- Many top universities provide MOOCs , 750 universities , 7.500 curses . Mostly free or with a small verification fee. 2.- A wonderful class-central providing every course available in the world in a very timely manner . All free service . 3.- Organise all these for a degree program . That is what I did . My dream was to get a degree but also to get some courses from Harvard, some courses from Stanford, still some courses from MIT , as many as I wish . Now I have done it , free and open to 8 billion people of the world . That is mguniversity , Muvaffak Gozaydin University . mguniversity were gotten by Mahatma Gandi University so I added 2017 . 1.- For time being I provide only 5 master degrees , later more MS and BAs . 2.- For a master you need 10 courses . 3.- I and my professors team selected from best universities 40 best courses available for each master degree program out of 7.500 online available ..
4.- You select 10 courses most suited to your needs and desires from this list of 40 courses . http://www.classcentral.com/universities . Every available MOOCs course is recorded there . 6.- I suggest to take only one course at any time . Courses are not easy . computer provides you a Master Degree diploma . In the diploma every course and university is recorded . 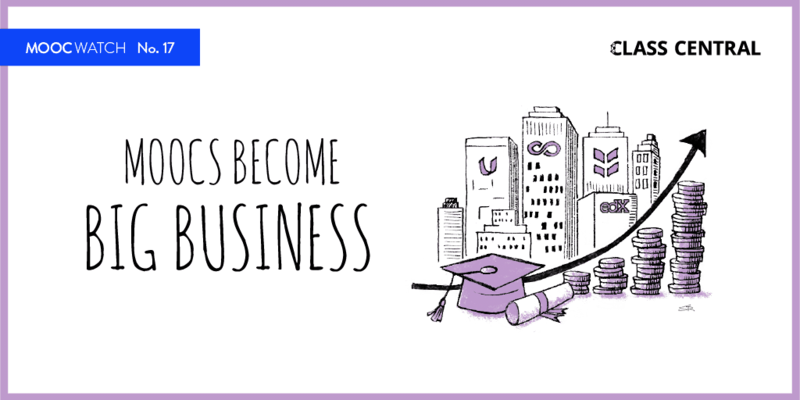 So we employers can hire you very easyly when we see top universities names on your diploma . Please no second class colleges . 2.- Universities must ask a fee of $ 10 per course not free. 3.- Shah’s semester MOOCs is a great idea . 5.- USA will gain the confidence of the world people . My university can be improved a lot . Which BA programs at least 20 , please suggest. How to convince top 100-150 universities to provide more online courses same as oncampus courses . All employer will love to hire my university graduates, since they will see courses taken from Harvard, Stanford, MIT even Oxford , Cambridge , Sorbonne . Please comment . We need a good sponsor name to it . Like Google University, Microsoft University etc . Be sure universities will make lots of money too from millions world students . I agree with pretty much everything you’ve said. I completed my MSc online (in the UK where we have an “official” remote university, so the experience is likely different to the U.S. remote education model). After that I missed the online community I’d been part of, and started doing MOOCs when FutureLearn was first launched, before expanding into the U.S models too (Cousera and EdX). FutureLearn still run the majority of their courses with mentors and professors, and I much prefer this model to the Cousera model. There are still chats on each page of the course and mentors regularly dip in and join in conversations. Some of the courses I’ve been on have subsequently had unofficial facebook groups set up so people can continue to chat. I think if we are going to continue pursuing a “pay per certificate” model, as Futurelean did, then as a customer we have a right to ask for more engagement from educators. Otherwise what exactly are we paying for? We could pay for a course at a local college and get a better experience – the whole point of MOOCs was to bring university level courses without the constraint of geography, but it is contingent on not having recycled content and no engagement – otherwise we could just buy a book and watch a documentary. In a course “Paradoxes of War” the professor chose a few points to discuss from his office once a week in response to questions submitted by students. That was great. Also peer grading which I think contributes very much to the learning experience works better when the cohort is larger and advancing together. It continues to evolve and find its place in the market. They still cannot compete with paid university courses for credit (many online anyway). Maybe they can justify/fund a “free” educational experience. Lots of room in between. As with any social business interaction, a clear understanding of the stakeholders’, their perspectives and expectations is needed before a “successful” model can be sustained. One thing remains true – you can’t succeed trying to be “ALL things to ALL people”! Today everybody complains . There are wonderful resources people do not appreciate . 1.- There are 7.500 online courses from mainly top universities . Some are good some are bad . But you need only 10 courses for a master degree. You can find the best 10 courses for example ” A master Degree in Economics ” Even you can get the best of best master degree in the world . In your master program you can take some courses from Harvard, some from Stanford, some from MIT, some from Oxford . There is no chance like this in the world . 2.- There is Class-Central listing all 7.500 courses timely, providing easy registration to any MOOCs . Just go to http://www.classcentral.com/universities . Thanks billion to class-central and Dr Shah . 3.- One needs an adhesive to put them together . They have selected best of best courses required for a master . You also select best of best 10 courses according to your needs . When you get best of best 10 certificates from Harvard, Stanford, MIT, Yale , Oxford etc . get a master degree from mguniversity free. We , employers, love to hire holders of this master since courses are from top of top universities . It is open to 8 billion people of the world . Let us convince top universities to provide more online courses. Let them charge a small fee of $ 10 for every course for financing . See ” Learn how to learn . …. ” online course by University of California, San Diego . 1.200.000 registration s . If they had charged only $ 10 . They would have collected 12 million $ in just 3 months . Volume volume , or scale, scale in order to drop costs per unit . I agree with most of what you say. I too am saddened that commercial considerations have made many MOOCS, “on-demand” effectively killing the community aspect. Even worst, is Coursera which even restricts quizzes to paying customers only! Edx is much better in this aspect but the GUI of there discussion forums leaves much to be desired, At this stage the best experience for me is provided by FutureLearn which opens everything up for the duration of the course, it no longer provides certificates to non payers but I can live with that (and they remove access to non payers after the course ends which doesn’t really matter as videos can be downloaded). I’ve always studied on by myself in physical classes so it’s not a problem not having a community in virtual classes. A lot of times I find the lectures so chaotic that I just join the MOOC to find out what text books they are using and read them instead. I partially agree, and partially disagree. I definitely felt more pressure to complete MOOCs in the early days, when deadlines were real. Now, with the rolling enrolment, I rarely actually finish any courses. So yes, while on the one hand it’s great to have more flexibility, on the other I literally have zero motivation to finish. Regarding forum interaction – yes, there was definitely a time when this was an important and lively area within MOOCs. I’m not generally a participant in these myself, so haven’t really lost anything, but I recognise that there were lots of people who did use them to enhance their learning and understanding. They are now pretty deserted, and actually a bit depressing. However, I am still incredibly grateful that so much course content is available to me for free. Making a MOOC is damn expensive, and if this is the price we have to pay – less engagement with both instructors and other students – to keep a large swathe of content for free, then I’m okay with it.